inscribed, upper centre: SCARABAES. / TAB. I. and upper right: ad pag. 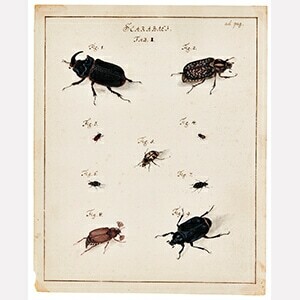 An additional handwritten page from the same folio, fixed to the back of the frame, identifies the nine beetles.